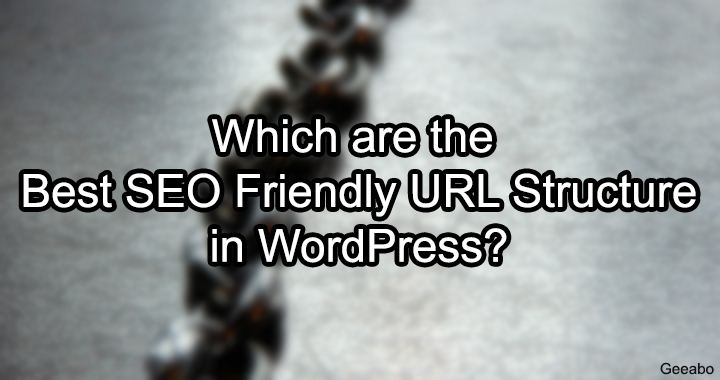 This article of Geeabo teaches you about the Best SEO Friendly URL Structure in WordPress? Friends, A perfect SEO Friendly URL Structure is very important when you are publishing a post. So many newbie blogger don’t gives attention to permalink. They don’t change the default permalink structure to SEO friendly URL structure. Because they don’t know what is the importance of URL (permalink). And this is the reason why there posts are not rank in any search engines or it takes much more time to rank. So, changing the default permalink structure to SEO Friendly URL Structure will helps you a lot in ranking your post in search engine. Friends, In WordPress, there are many URL structures as I mention earlier. But one of the very important aspect of On Page SEO is focus keyword must having in your post and page URL. If the focus keyword is not having in your post URL then your post can’t be rank. Because as I mention earlier that the default permalink structure is not SEO friendly. Here you can see there are 6 types of URL structure. Plain, Day and name, Month and name, Numeric, Post name and Custom Structure. By default, the URL structure is Plain and this is not SEO friendly. 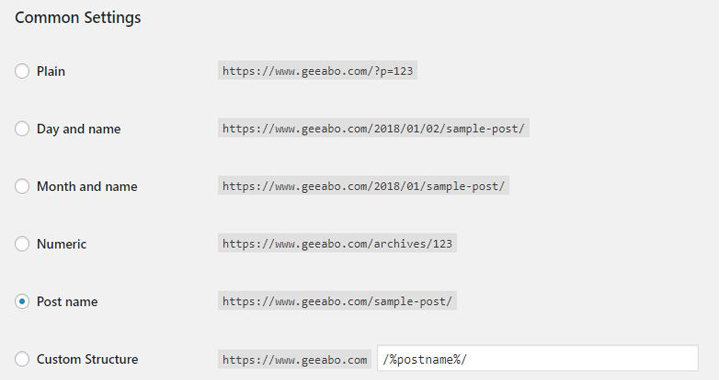 Post name is the best URL structure because it is short and have no unnecessary (character or digit) which will affect your on page SEO score. Custom Structure (%postname%) is also the best because it also same as first one. Custom Structure (%category%/%postname%) is good URL structure but I don’t like this. You can use this URL too. But Post name URL structure is the best. And if you are running a blog then I recommend you to use this URL structure on your blog. Friends, At last I want to say that permalink structure plays a very important role in on page SEO. Without a good SEO friendly URL structure, you can’t rank your website’s post. So, according to me this was the best SEO Friendly URL Structure in WordPress. I’m not sure how I can restructure my URL. Any tips?